I have a Nokia Lumia 800 and I have been using it for the last 4 years, with no problems at all. Today this phone is being outdated but my experience with it is good. The only issues that I have which recently started is that the phone know started to heat up (not always, but when happens the bat will drain in 5hr time under normal use and has to be recharged again). I don't know the problem roots it either can be from the battery or from poor reception or both or ageing. The outer rubber cover has saved it several times when dropped. The corning glass is still great only for 2 small scratches. No dust and very robust. Nokia created a durable long lasting phone. Thanks for that it been a pleasure. 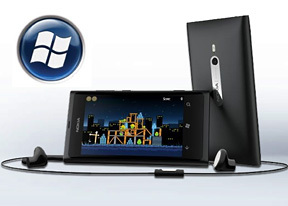 i have Nokia Lumia 800 but i cant get data whenever i dial to get Data it replys how the ssission has been terminated,whats up cant connect,ringtone cant ring it only vibrates what could be the problem? am in Uganda.otherwise its nice phone and clear when receiving calls. my mobile data is not work! Today nokia lumia 800 that I have is already face out to the market..so sad to know coz its high price then its only like that its out of tha maket..now my lumia800 has no value! Can we download windows 8 to this phone?? Can't save music if I don't.. There is no front camera for video calling in Skype.Blutooth not work. Hi i am Laxman soren . what about to upgrade it guys is it good or not????????????? ?